Do not ask Kerry Washington how she got her post-baby body back. "A few weeks ago, my manager asked: 'Do you feel like you're back? I feel like you're back.' She meant it as a total compliment, but we had this great conversation where I was like, 'You know what? I try really hard not to use that language, because it's not about going backward in life,'" the Scandal actress, 38, says. And, as the Django Unchained star explains in SELF's September issue, "I've been really focused on not being 'back' to anything, but being the best version of myself right now. My body is the site of a miracle now. I don't want to be pre-miracle." The TV star welcomed a daughter, Isabelle Amarachi, in April 2014. Since then, her daughter's schedule has dictated Washington's workout schedule. "I try to get it in so I can be back with my kid early. I have to take care of myself in order to live life the way I want to. It's important to have rest days," the actress tells the magazine. "But in the long run, if I don't work out for, like, three days, I feel worse, not better." Exercise has helped her deal with stress, too. "There are a lot of forms of exercise where you have to leave yourself out of the room while you force yourself to do this thing," she says. "With Pilates, I get to bring my true self. I cry, I laugh. I get to go: 'Where is my body today? What do I need today? How can I take care of myself and push myself past my comfort zone? How can I be both loving and challenging?'" 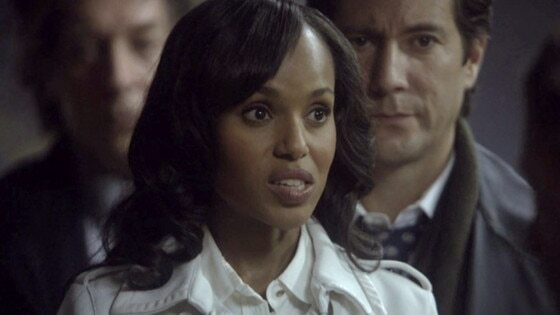 As for managing her day-to-day, Washington likes to think she's a little bit like her fixer character, Olivia Pope. "It makes my heart smile to think that maybe part of the reason I'm taking all this on is because of Olivia. She truly believes that she can handle every situation, and I do feel that has bled into my life. I have more of a sense of my capacity to do anything," she says. Of course, the actress isn't like her character in all aspects. "I'm such a lightweight that if I drink, it takes me a couple of days to recover," she tells SELF of Olivia, who loves her imported wine. "So I prefer to do it on a beach, not when I have a three-page monologue the next day."